Now in its 11th year, the award-winning Regent Park revitalization project by The Daniels Corporation and Toronto Community Housing has resulted in the transformation of the east side neighbourhood into a vibrant, mixed-use community. With several new condominiums now occupied along with a wealth of newly opened retail, commercial, cultural and athletic venues, it’s easy to see why the 69-acre development has become one of the most sought-after residential destinations in downtown Toronto. Regent Park’s latest project, DuEast Condominiums, is scheduled to launch this fall and will mark the community’s eighth new residence. 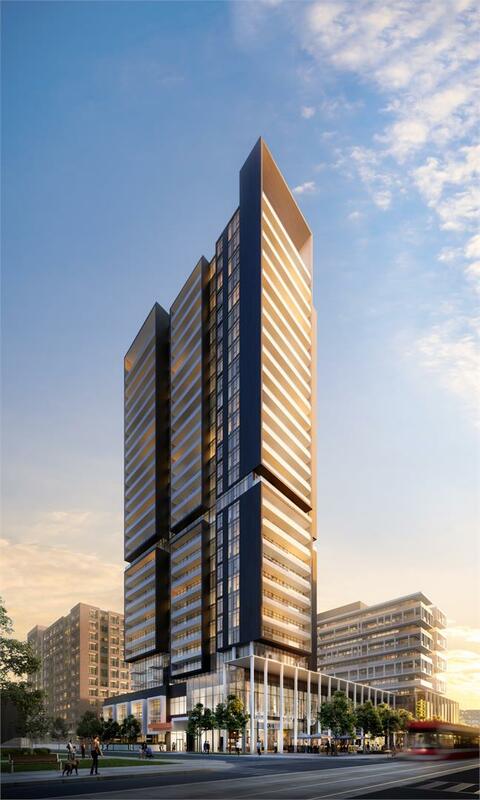 Situated at the northeast corner of Dundas Street East and Sumach Street, the Core Architects-designed tower will rise 29 storeys and feature contemporary architecture, a multi-use podium and street-level retail along Dundas. At the base of the building is a unique “living lane” feature with trees, communal benches, bike parking and bistro string lighting extending from each side. 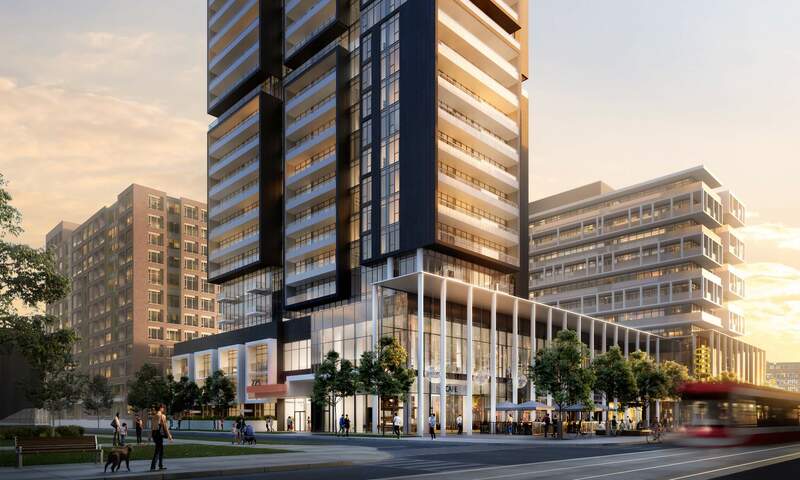 “Residents will live in one of Toronto’s fastest-growing neighbourhoods, where the social infrastructure is as impressive as the bricks and mortar of the buildings,” says Dominic Tompa, Broker of Record for City Life Realty, Daniels’ in-house sales team. “Local amenities are literally within steps of the new residence, ready to satisfy the recreational, educational, cultural and entertainment needs of Regent Park’s diverse population,” he continues. Daniels Spectrum is just one example of the range of local amenities within walking distance from DuEast. The multi-award-winning cultural hub is equipped with artist spaces, offices, exhibition halls and indoor and outdoor performance areas. Also nearby is the 59,000-square-foot Regent Park Community Centre with expansive recreational facilities, an employment centre, child care centre and direct connections to Nelson Mandela Park Public School. Other popular neighbourhood attractions include the Regent Park Aquatic Centre with multiple swimming pools and the 2.8-acre Regent Park Athletic Grounds with an ice rink, running track, basketball court, field house and artificial turf soccer/cricket pitch. The area is also dotted with numerous shops, restaurants and services such as Paintbox Bistro, FreshCo by Sobeys, Tim Hortons, Wendy’s, Shoppers Drug Mart and RBC. On-site amenities have been designed by Mason Studio and include a stunning lobby with a 24 -hour concierge, lounge areas and the Compass Club Fitness Centre with cardio and strength equipment, Crossfit and yoga spaces. Located on the third floor, the Kids Zone active room is sure to be a hit with parents. The child-friendly space is perfect for learning and play with padded kiddie corners, play structures and a library/reading nook. More amenities are found on the fourth floor where residents with green thumbs will appreciate the large potting shed where they can store their plant materials for balcony gardening. This amenity floor will also be home to the condominium’s party room, rec/media room, indoor and outdoor lounges, and a unique co-working space, complete with a coffee bar. Suites at DuEast start from the high $200,000s and range from studios to three bedroom layouts. For the best chance to purchase, prospective homebuyers are encouraged to join the DuEAST Inner Circle™. Members will be among the first to purchase, with an invitation to Daniels’ Preview Event including the First Advance Sale before the general public. Inner Circle™ members will also have the most comprehensive selection of suites, floors and views to choose from. To join, a $300 registration fee is required, which will be applied toward the purchase of your suite, or fully refunded if you choose not to purchase.